‘Oh no not another rip off of Breaking Bad,’ one cries when the synopsis of Netflix original series Narcos is heard. 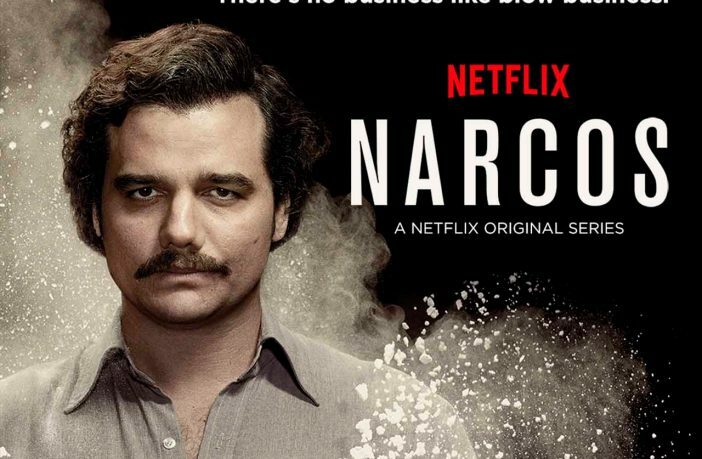 Chris Brancato’s crime series telling the story of real-life Colombian cocaine drug lord Pablo Escobar (Wagner Moura) may seem similar to Vince Gilligan’s phenomenon on paper, but in fact, it depicts an all-too realistic world of the war on drugs. Brazilian film-maker José Padilha seemed to be the best choice to direct considering his filmography includes powerful documentaries and success with Elite Squad at the Berlin Film Festival in 2008. Set in the 1980’s, the crime drama follows the head hunt for Pablo Escobar by an American DEA agent Steve Murphy (Boyd Holbrook) and the spread of cocaine drug cartels all across the world. The lines between good and bad in drug programs always seem to blur, none compare to the characters in this ‘rush-inducing’ crime drama. By the end of the first episode, you won’t know which side to root for. Despite the relatable characters, the casting has proved controversial in the sense that it is too diverse. Many actors, although they speak perfect Spanish, it is the accent that is confusing many Colombian viewers. For example, Wagner Moura is a Brazilian actor playing a Colombian, Chilean actor Pedro Pascal and Puerto Rican Luís Guzmán have also been criticised by locals that the Colombian twang hasn’t quite been achieved. However, to non-native speakers it isn’t noticeable, so it’s no excuse not to watch it. The ‘addictive’ plot and portrayal of real-life characters, would be enough to entice but what makes Narcos different from other drug crime dramas? 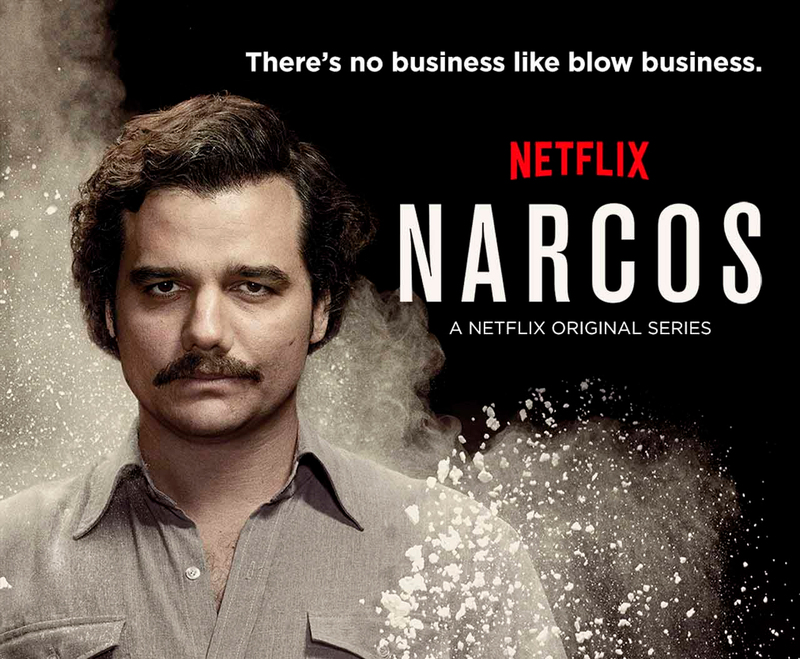 Apart from much of the dialogue being in Spanish, if you don’t mind reading subtitles, Narcos offers a more worldwide perspective from the likes of Breaking Bad based in just one state of America. Obviously, it is not trying to be like Breaking Bad, so once viewers see it as a separate entity, it is a truly enjoyable thrilling drama that illustrates an enormous drug movement during the 1980’s. Narcos is now available on Netflix.